I have a zillion projects in the works right now, but as soon as I saw Judy Laquidara’s new pattern, Paint Stix, I loved it and knew I had to try it right away! I’m using some fabric from stash that I have always liked but found difficult to use before. This pattern seems just right for it. 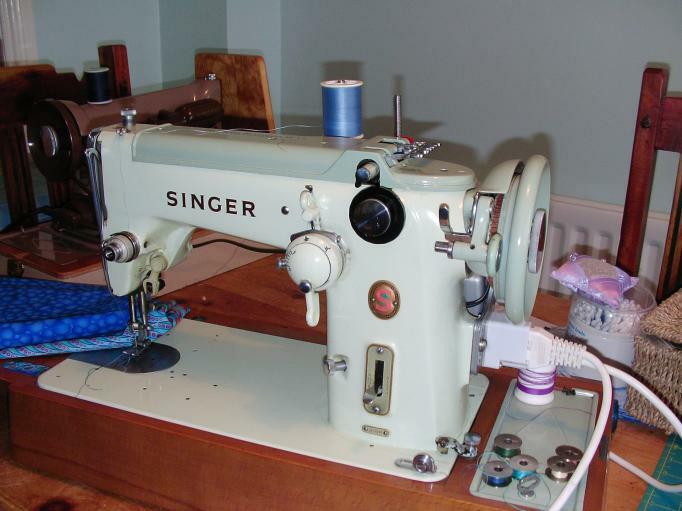 I am sewing on “Ethne” today, which is my Singer 319K from 1960. She uses special 206×13 needles, which are difficult to find these days. Just last week I was lucky enough to find some more needles for her, so now we are off and running again. She has many amazing features for a 50-year-old sewing machine, including some incredible embroidery patterns. on May 10, 2010 at 12:16 pm | Reply Kathie L.
I made something very similar a few years back out of all blues and yellows, still like that quilt. What a cute machine…must be fun to sew on that! Great that you started the Paint Stix quilt. I love old machines; they work so much better than new models. That looks like a fun quilt to make. I want to finish a few more quilts before I start another one. 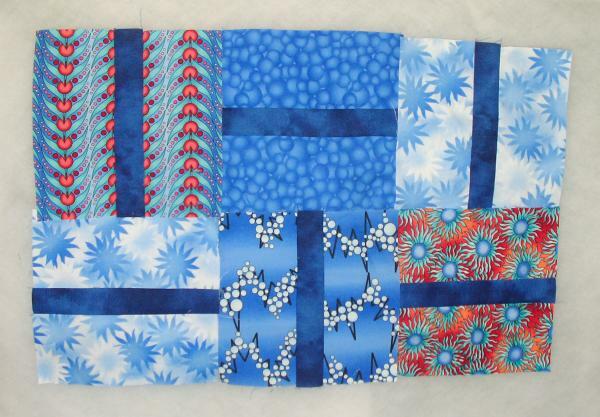 Paint Stix in Blue…I love blue color so can’t wait to see your version of this quilt done. Okay, I had to go check one of my machines–similar–a 306W. I think she takes the same needle. I bought her on an auction, I know the lady who owned her used her a lot! I love older sewing machines—they are so dependable. I am so envious of your gorgeous well looked after sewing machine…….